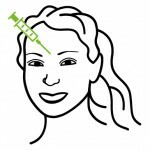 BOTOX® Cosmetic is a prescription medicine that is injected into muscles and used to temporarily improve the look of both moderate to severe crow's feet lines and frown lines between the eyebrows in adults. Popular cosmetically it is also used for medical conditions such as hyperhidrosis. Recommended to smooth wrinkles and restore volume. These can help reverse the signs of aging and can also be used to enhance facial features such as your lips and cheeks for added fullness and definition. This treatment removes top layers of the skin to allow new skin growth, which is smoother and less wrinkled. A number of chemical peels are offered at York Dermatology, including those for sensitive skin as well as for the treatment of hyperpigmentation. DiolazeXL is the most effective at combining high peak power and a large spot size simultaneously in the same session. Patients can benefit from its first and only combination of speed, efficacy, safety and comfort to optimize their hair removal experience. We used intense pulsed light (IPL) that delivers up to 3x more energy in the 500-600nm range to lighten vascular and pigmented lesions. Patients with a variety of skin types and conditions, can see a different with just a single session, however some conditions can require multiple sessions to achieve the desired effect. Fractional skin resurfacing and subdermal tissue coagulation devices bridge the gap between fractional lasers and surgical procedures. Clinical papers demonstrate outcomes such as: improvement in skin complexion, reduction in skin irregularities and restoring skin to a more youthful appearance. This all occurs within one session, or multiple sessions, depending on patient preference. This device can even be used on cystic acne and acne scars.